CLICK For information about a rod licence - which you will need to fish in the UK. The lakes are open as a day-ticket venue with tickets costing £5 for adults and £3 for concessions, season tickets are also available these are priced at £50 for adults and £30 for concessions. The lakes are well stocked with a good mix of coarse fish including; carp, bream, tench, rudd, roach and crucuian carp! 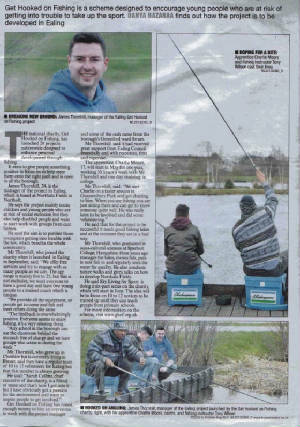 The fishing is geared towards newcomers to the sport with plenty of action easily achieved! There is more often than not a coach on site to help with any queries you may have.